UK insurers and Traffic Police are using bad law and flawed insurance practices at the expense of UK drivers. A gloating press release by Churchill Car Insurance gleefully informs us that more than 22,500 vehicles were seized so far this year for insurance offences. Then urged more draconan penalties with the funds generated used by police for even stiffer enforcement of deeply flawed UK insurance law. The sale of confiscated cars at auction in 2016 has so far netted £1,400,000, plus £279,353 in scrap. 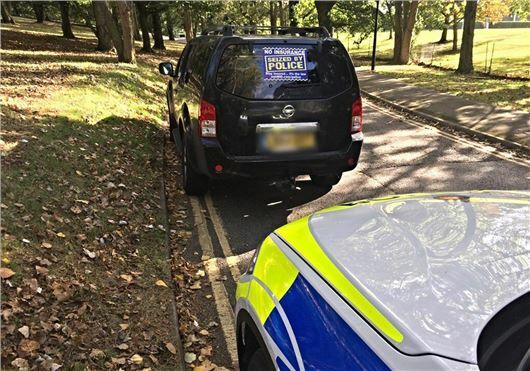 In addition to this, uninsured drivers are getting at least 6 points on their licences and fines of up to £1,000, bringing a revenue stream worth more than £20,000,000 to the courts. However, it is painfully obvious that the reason for many of these ‘offences’ is not the driver’s deliberate intention to drive uninsured; it is the ridiculous system adopted for car insurance in the UK. Almost everywhere else in the World a car is automatically insured for any qualified driver. It is only in the UK that insurance takes account of the driving record of every driver insured to drive the vehicle. Even the old legal right of a policyholder to drive other insured cars on a third party basis has been withdrawn by most UK insurers. Many drivers don’t realise this and are being fined and having the cars they were driving confiscated as a result. So what needs to happen is an urgent reform of UK car insurance to make it fairer for all drivers. All cars should automatically be insured for any qualified driver when they are taxed, as in Germany. For high performance cars, age restrictions can be imposed. If the driver has no licence or is banned, then confiscation can continue. So lets see some common sense and fairness over this. The police should not be employed to enforce bad law for the benefit of a bunch of moneygrabbing insurers. Churchill’s spokesman said, "We need an urgent examination of the penalties for uninsured motoring, introducing sentences that are a real deterrent and that will keep these irresponsible motorists off the road. The penalties should be far higher and money generated from increased fines should be pumped back in to enabling the police to catch more uninsured drivers." I have lived in France and Switzerland where it is the car that is insured to Third party liability. A driver can add the extras they want. I would lend my car to friends and use theirs without problems, on the basis of you bend it you mend it. Another example of rip off Britain? The most radical of all is to go for no fault insurance which is optional. Insurance cost would drop by 70%. How it works is that; you insure you OWN car for accidents. Insurance is not obligatory. You can CHOOSE NOT to insure your car, which means if you have an accident you pay for repairs yourself. There is NO notion of whose fault it is!! It is of NO consequence in settling the insurance claim. That means you premiums are not based on what car you MAY have an accident e.g £1M Ferrari but the premium is based on the cost to repair your car. Personal injury is settled by a new government body paid for in car insurance (extra £20 a year.) Like we had in the 1920’s. No more uninsured driver problems. No more whiplash problems. Premiums will be a fraction of cost. No more no-claims bonus. If it cost £50 a year to insure you £1000 Peugeot 207, what’s the point! No more HUGE cost deciding who was to blame. Insurance cost would plummet! !